Hope you guys are having a fun time preparing for the holidays! I am about to hit the road to visit family but wanted to get up a post first about the Sally Hansen Holiday Collection. This includes two mini sets of polish and two options for scented versions of their classic Vitamin E Nail & Cuticle Oil. These would make great last minute Christmas or New Year gifts! The Sally Hansen Holiday Collection sets come in packages labeled for gifting. The bottles are 5ml and feature the same type of wide, rounded brush as in the full size versions. These would make great gifts for kids or for someone who wants to add some variety to their collection without taking up a lot of space. Sally Hansen Complete Salon Manicure 145 Devil Wears Nada is a peach beige. I wore it in three thin coats. It was a bit streaking on the first coat but smoothed out well on the second - nice, quick dry time. Sally Hansen Complete Salon Manicure 378 Gleam Supreme is a sheer white shimmer with multicolored flash that shifts pink. This works on its own for a sheer or you could use it as a topper. I am wearing it here in four thin coats. This is lovely and looks like pearls. Sally Hansen Complete Salon Manicure 416 Rags to Riches is a deep wine burgundy creme. It will cover in one or two thin coats. Great formula and classic color. 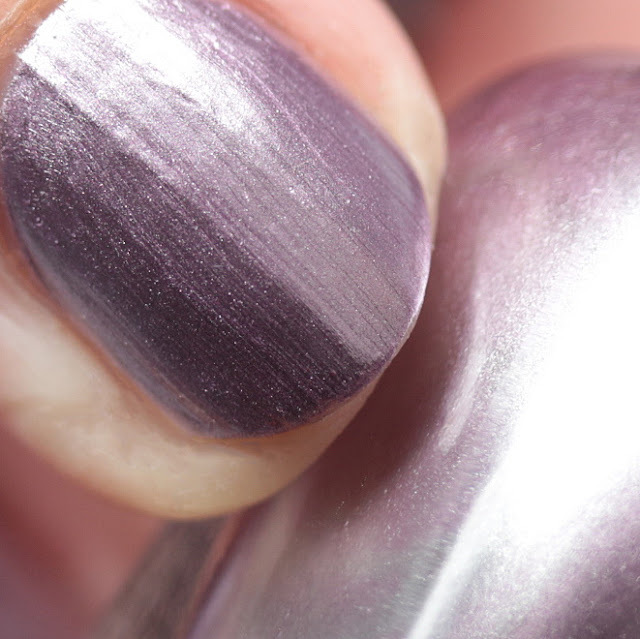 Sally Hansen Complete Salon Manicure 473 A Perfect Tin is an orchid chrome. 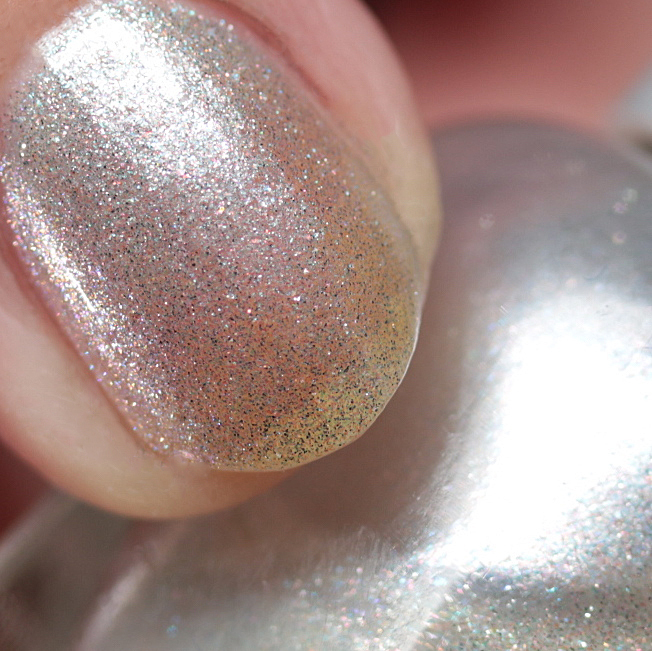 This is mega opaque at just one coat and would make an amazing stamping and nail art polish. 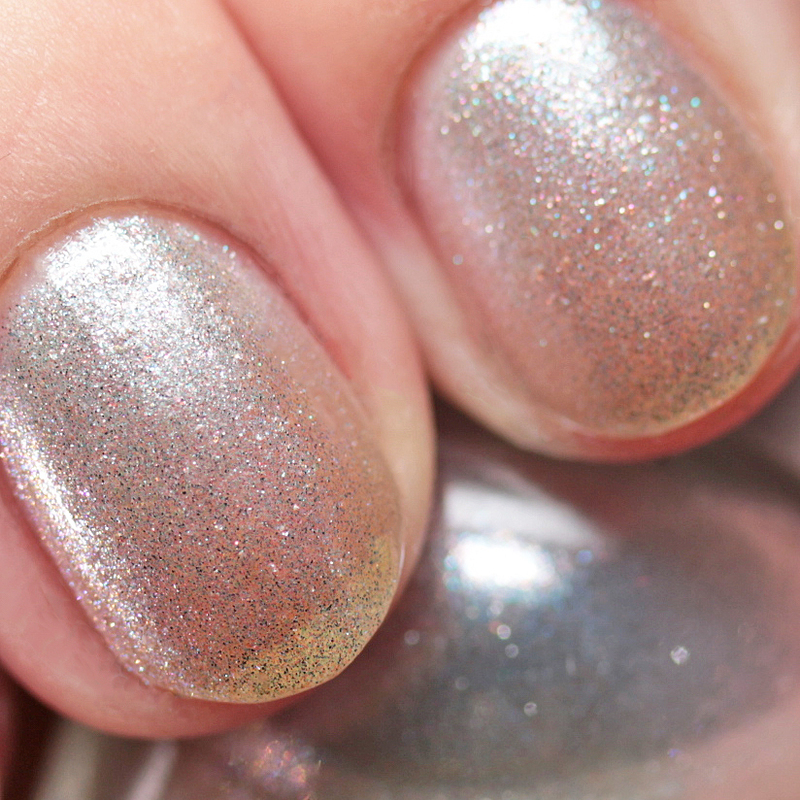 Due to its chrome finish, it will show nail flaws and brush strokes. If that bothered you, you could use a ridge filling base and sponge it on. However, these issues are common to just about every chrome out there. Otherwise great, with a quick dry time. There is a second set of minis that I don't have with red and gold colors. I want to find it, too! Also on offer for a limited time are scented versions of the fantastic Sally Hansen Vitamin E Nail & Cuticle Oil. 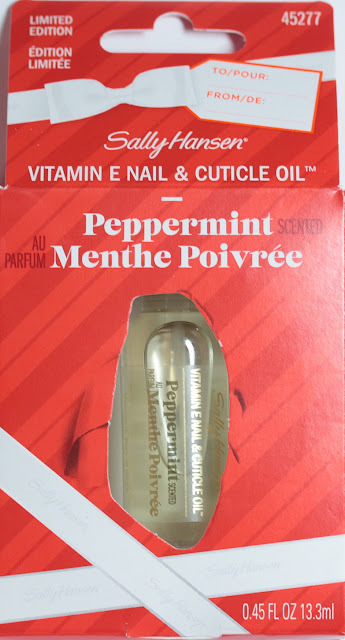 I have gone through dozens of bottles of this over the years and it is one of the best, most affordable cuticle oils out there. I wish they offered scented versions year round! The scents for the holidays are Peppermint and Vanilla Buttercream. Of the set I showed you, three of these are regular line colors in mini size, and one, 378 Gleam Supreme is a re-release from Fall 2015 that is no longer available in full size. Check your local drugstores and mass merchants for these cute sets - I know I will try to grab the other one!